Sun City Shadow Hills offers two magnificent clubhouses full of impressive resort-style amenities. Active adult communities are specifically designed to support an exciting lifestyle with amenities typically found in country clubs and luxury resorts. Elaborate clubhouses with fitness centers, swimming pools, restaurants, golf courses, hobby rooms and social spaces create the ideal atmosphere for residents to live a physically fit and socially active lifestyle. The community clubhouse is the heart of any active adult community. The most sought-after communities boast expansive clubhouses brimming with luxury amenities and buzzing with activity and excitement. 55Places tours hundreds of active adult communities every year and has been especially impressed with the following clubhouses. Be sure to click on the community links below to view more pictures of 25 great active adult community clubhouses, listed in no particular order. 1. 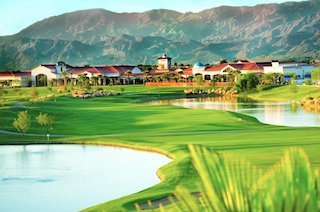 Sun City Shadow Hills – Indio, CA With nearly 50,000 square feet of amenity space, Sun City Shadow Hills offers the ultimate in active adult living in the gorgeous Coachella Valley. Two elegant clubhouses offer a wide variety of amenities including two magnificent golf courses. Today buyers can select from new construction or resale homes built by Del Webb in nearly 30 unique floor plans. Residents enjoy a vibrant lifestyle with clubs and activities catering to a wide range of interests, all supported by elegant facilities to support an exceptional active adult lifestyle. 2. Trilogy at the Vineyards – Brentwood, CA Trilogy at the Vineyards is a breathtaking Shea Homes community offering luxury active adult living in a prestigious Northern California location. The gorgeous Club Los Meganos boasts 34,000 square feet of impeccably designed amenity space featuring resort style luxuries including a full-service spa, delicious dining and elegant lounges. Residents also enjoy 27 holes of golf and a stunning natural setting with single-family homes surrounded by vineyards, olive groves and the California countryside. 3. 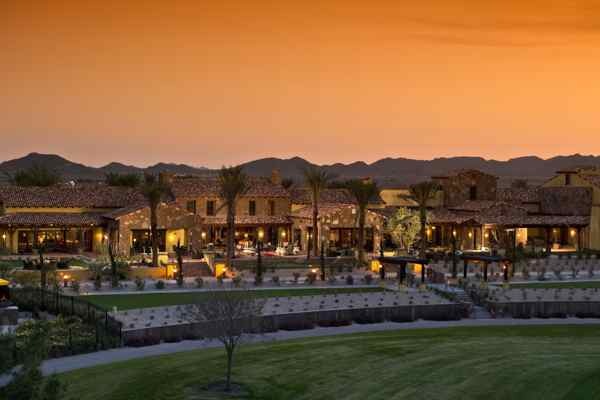 PebbleCreek – Goodyear, AZ PebbleCreek is a luxury lifestyle community for retirees as young as age 40. Residents enjoy access to multiple amenity centers including a creative arts center. There are multiple options for physical fitness pursuits both indoors and out, fantastic socializing, delectable dining plus two championship golf courses. Robson Communities designed PebbleCreek to meet the needs of today's active adult homebuyer with an appealing collection of high-end amenities and beautiful homes in a private desert setting. 4. Robson Ranch – Eloy, AZ Halfway between Phoenix and Tucson is Robson Ranch by Robson Communities. This sprawling active adult community boasts a private location and resort-style amenities including on-site dining and fantastic golf. Homebuyers will appreciate the attractive pricing and are sure to find the perfect home with over 20 designs to choose from. Future plans call for an additional creative arts center and clubhouse, which promises to be equally as impressive and a wonderful addition to this already exceptional Phoenix area community. Trilogy at Encanterra impresses with modern amenities and amazing design in architecture and furnishings.